I was tired of fondant. There’s not much excuse, really: mainly, I think I must just be fickle. For a big project that also had to use a lot of brown in the decoration, I eventually landed on modeling chocolate as the coating. Recipes – This incredibly helpful person gives you the keys to the kingdom for making modeling chocolate from pretty much any kind of chocolate you might want to use. The recipes are scalable, too – I doubled at least two of them with no issues. 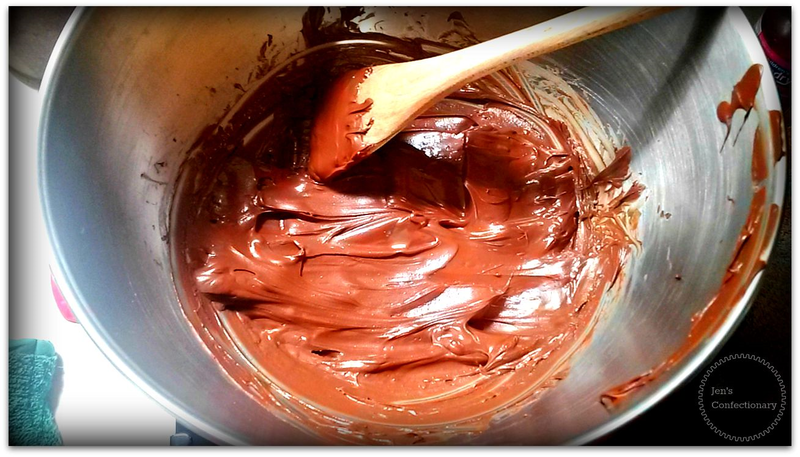 In the photo, you see I used the milk, semi-sweet and dark chocolate recipes from the site. 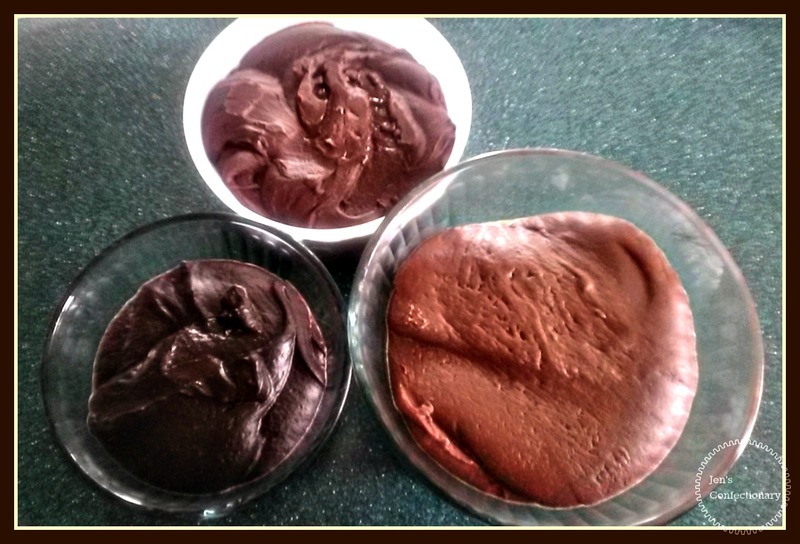 I did experiment with adding color with the dark chocolate recipe because the chocolate I picked out did not contrast with the semi-sweet as much as I’d hoped. The troubleshooting article gave me the confidence to not second-guess the recipes and it really did all come together incredibly easily. Also, I got to do cool things like create a wood grain effect by marbling the semi-sweet and milk chocolate together once they were done and cooled. I did this in small, easily controlled hunks so as not to overheat a larger piece by handling it too long. Of course, I made way too much of it, but that’s a problem for another day (wood paneled wainscoting in a gingerbread house?). Luckily, it’s supposed to keeping the freezer well for a few months. 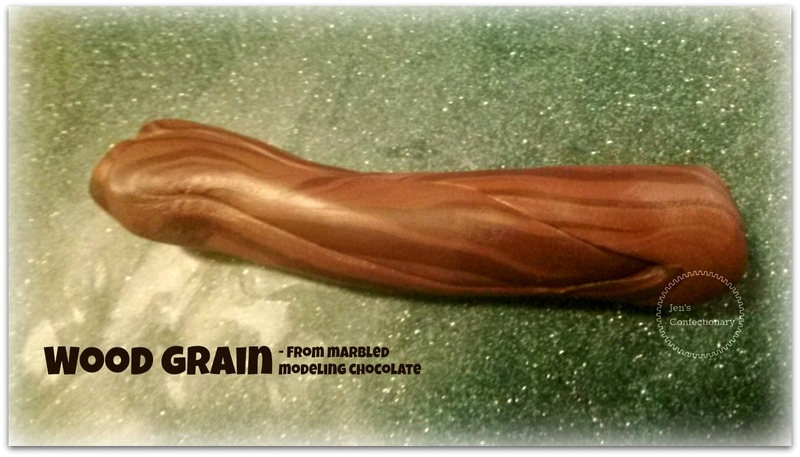 This entry was posted in Gluten Free, Learning, Modeling Chocolate, Recipe and tagged Chocolate, modeling chocolate, technique. Bookmark the permalink.